Selected Villas for rent near Uda Walawe National Park (Sri Lanka) - Contact us now! 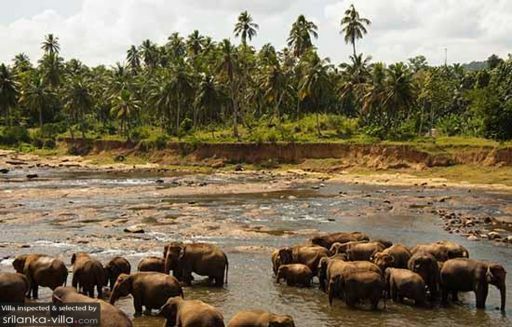 The vast open parkland of Uda Walawe National Park is home to a significant population of elephants and other wildlife species, such as buffaloes, langur monkeys, spotted deer and crocodiles. The Elephant Transit Home, an orphanage for baby elephants rescued from the wild, is one of the main tourist sites. Visitors can also look forward to discovering an array of nature attractions, such as meandering rivers, lush waterfalls, limestone caves and hot water springs.